I wanted to crochet a baby shower gift for a friend but I didn’t have a lot of time to finish it. Since I didn’t have enough time to crochet a blanket I looked for a smaller project, something small but useful. I started to make a little toboggan then realized it wouldn’t be of much use since the weather will be getting warmer by the time the baby arrives. 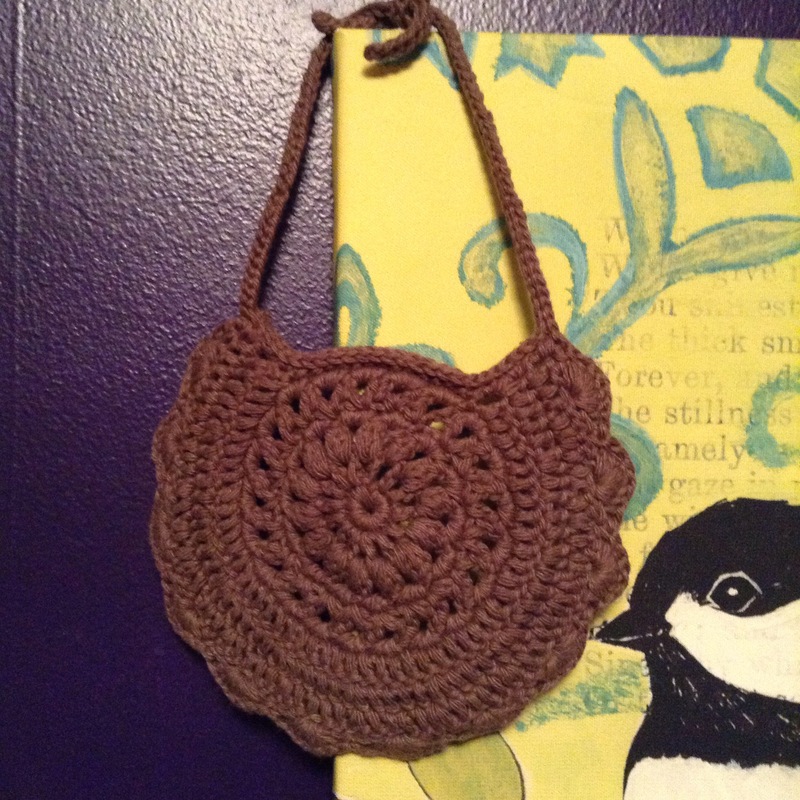 Then I came across a pattern for a beautiful bib on Ravelry. It was perfect for the project I was looking for. Paired with a matching outfit from the store it will be darling. I will definitely be using this for future gifts and hopefully future children. If you want to make one of Sonea Delvon’s Round Baby Bib’s the pattern is available here for free. Instead of making the thick strap from the pattern, I made a thinner one that is tied instead of buttoned. I just made 50 ch on each side and ss back down each. I have a bad habit of just starting in on a project before even reading halfway through it. This time it worked out in my favor since it made me conquer my fear of charts. Fear? I don’t know why I shied away from projects because they included a chart vs written instructions. They (or this one was) are so simple to read.